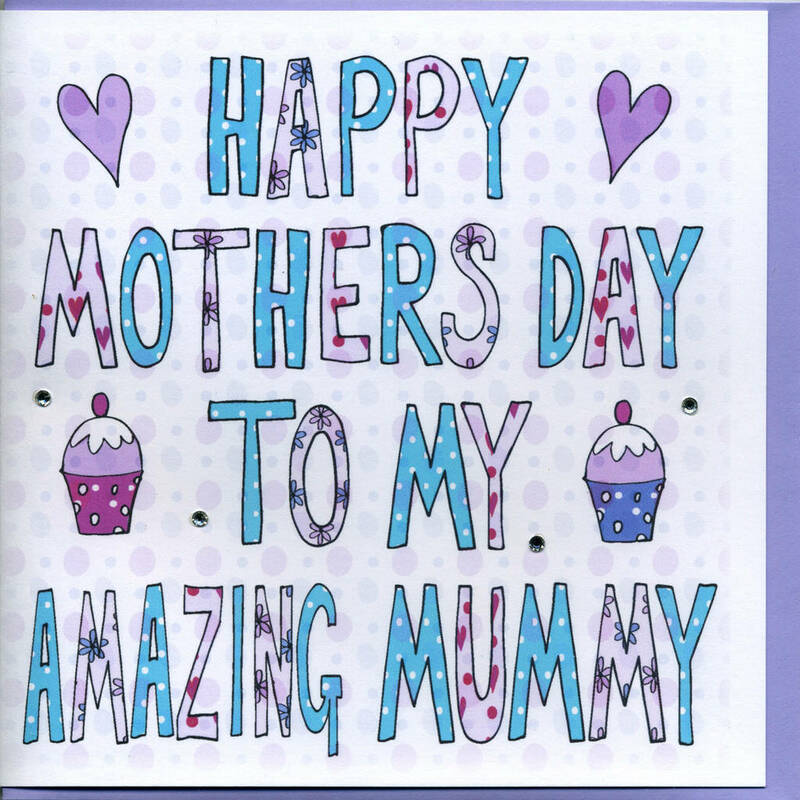 A very precious Book Card gift for a special Mummy on Mothers Day or just because. How often do we actually tell someone how much we love them and what we appreciate about them. This book card is a special keepsake that does just that and can be read and enjoyed for years to come. 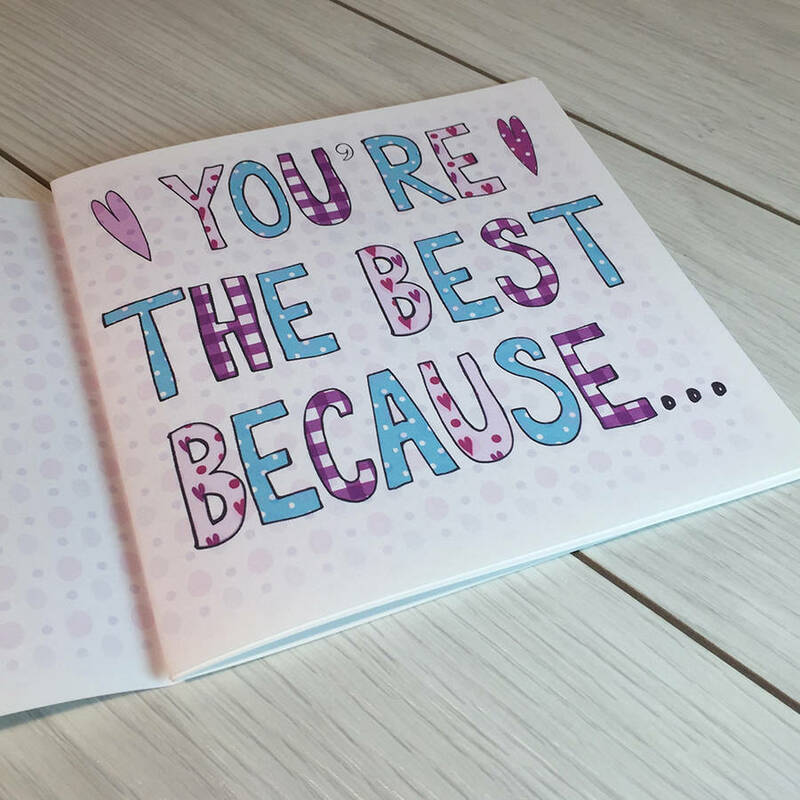 The book card is filled with pages of personal messages from you to her to remind her how special she is. 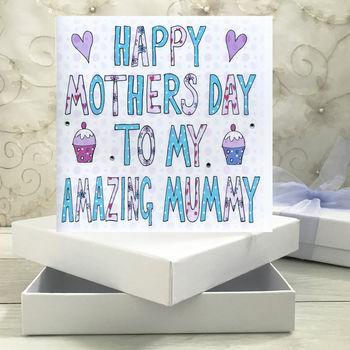 A colourful card design is printed on the front cover with a choice of greeting. 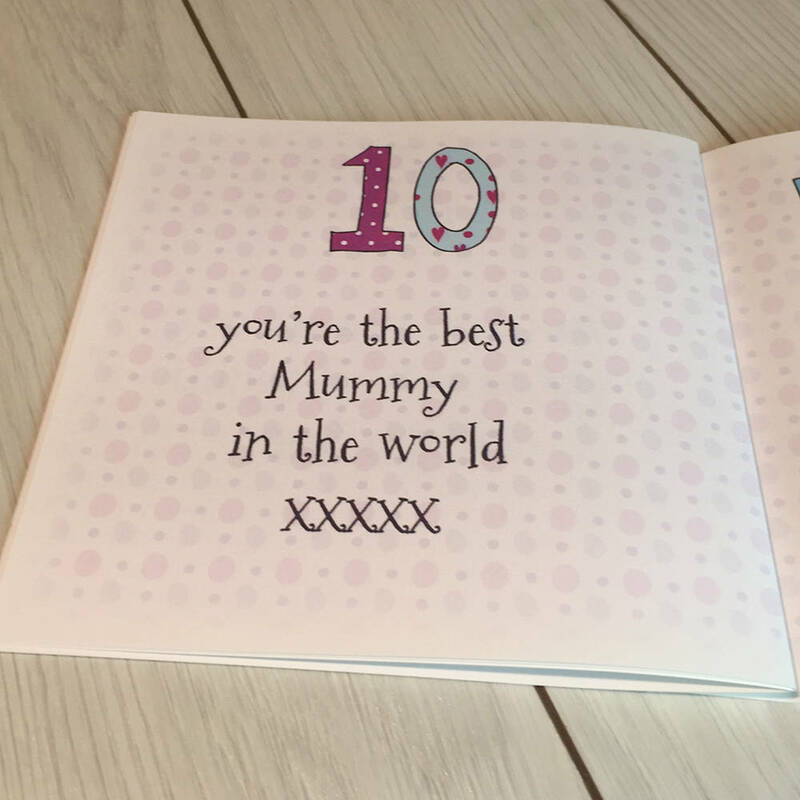 This book card is carefully designed so that you can then have your personalised messages printed on the next ten pages. 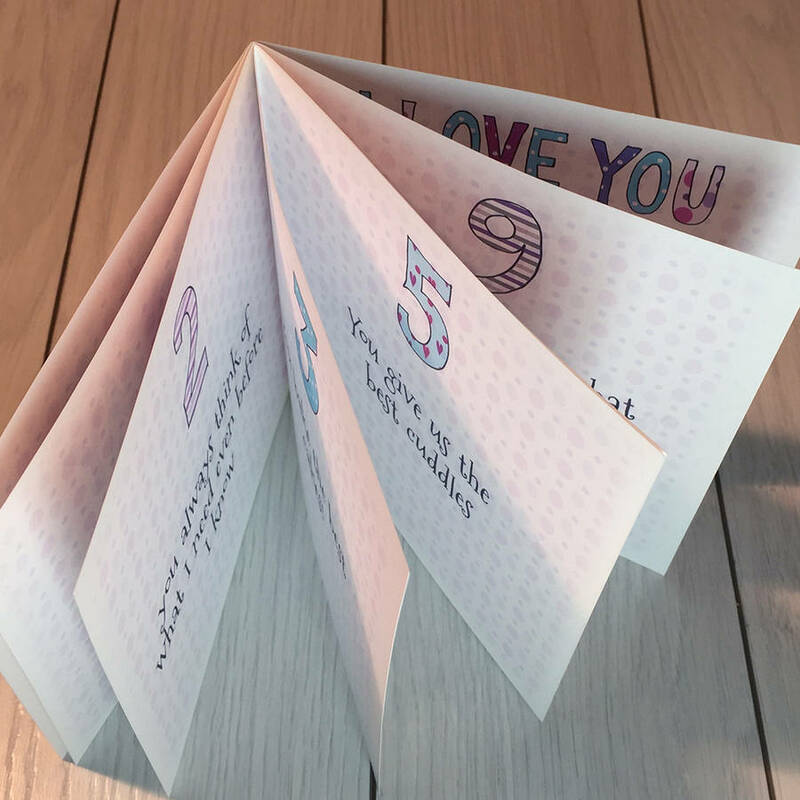 These ten numbered pages can have a message of up to 85 characters per page on, or choose to leave some blank to write or draw things yourselves. 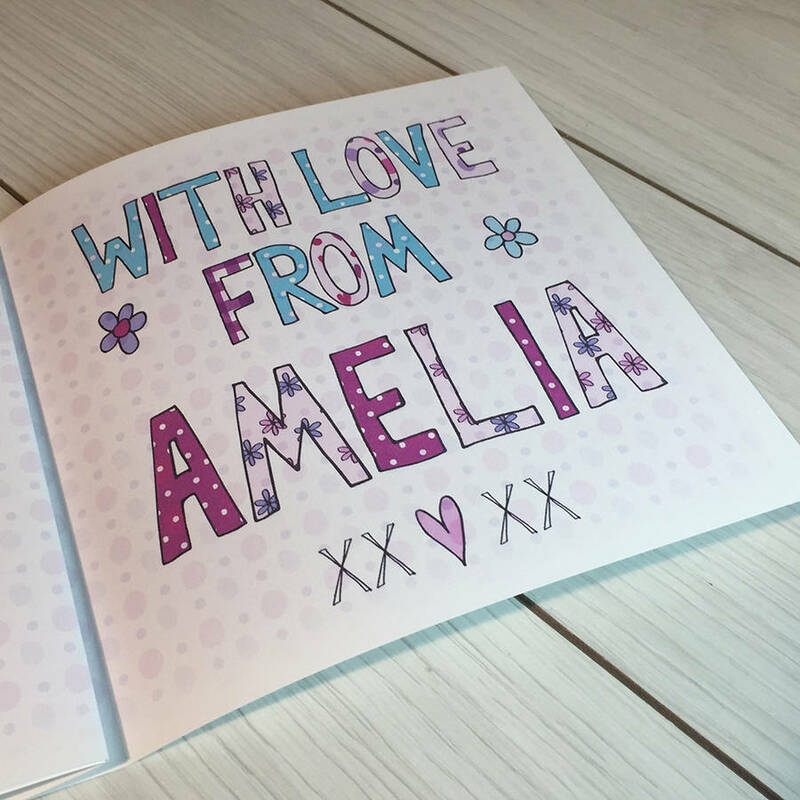 The final page is personalised with your childs name/s and choice of message. 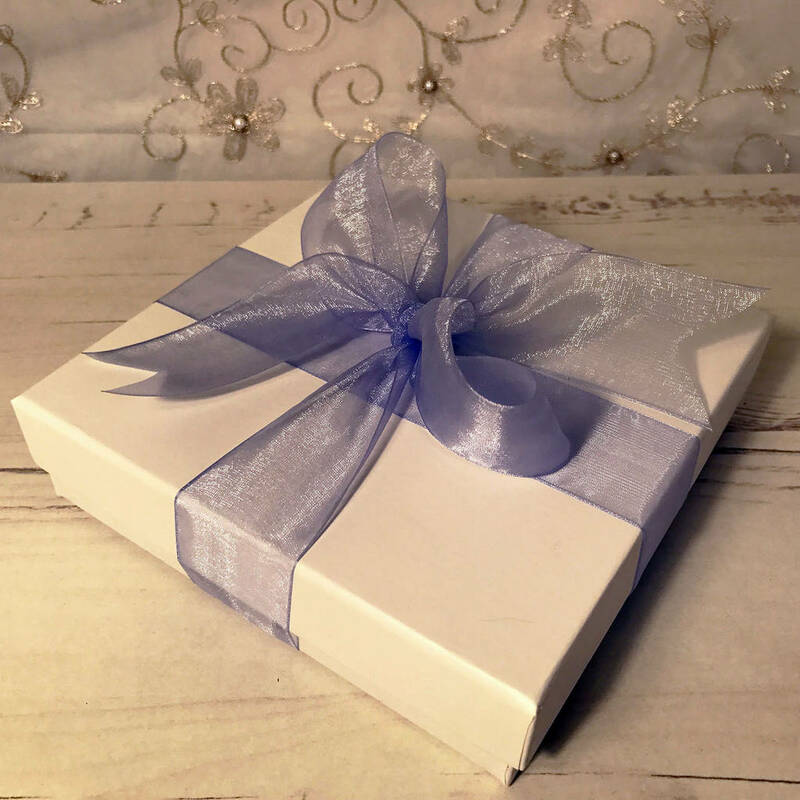 All this is provided with a mauve envelope to send it in or, to make a special keepsake gift, we can place it in a white gift presentation box tied with mauve ribbon. This option can be selected from the drop down options. WHEN CHOOSING YOUR INTERNAL WORDING PLEASE BE SURE TO DOUBLE CHECK YOUR SPELLING, AS WHAT YOU SEND IS WHAT WILL BE PRINTED. If you want any pages left blank with just the page number printed please email us. Please note, if you are sending direct to the recipient you can only place one book card per order as postage only covers delivery to a single UK address. 300 gm Card and glass crystals. The design is carefully reproduced and printed onto high quality white card and the front cover is individually hand decorated with crystals for a little bit of sparkle. The inside pages are printed on thick high quality white paper. Daddy says your jokes are rubbish but I love them! You put up with Daddy! A personalised range of cards available in many designs for relatives and friends Please see our full range. This product is dispatched to you by Claire Sowden Design.